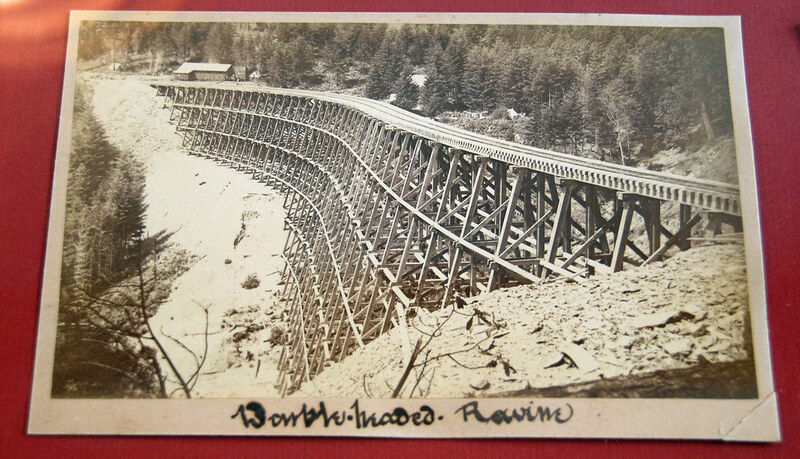 Here's a link to a facebook page of a Nanaimo history group: The photo is of the Green Lake trestle on fire. I'm not sure if this is a viewable group, or not. - Why are some trains called "Turns"? VicGuy uses that phrase a lot. That's an amazing photo! I remember at the time wondering if they would fix it or not. As for the term "turns," this was always my understanding: it's when a set of power takes a train to a certain point, then returns to the place of origin. There may be more to it, but I think that's the basic meaning. Haha, in a few weeks I'll also be able to relate to this, except for me it will be our Kayak which costs a little more than $20, but can take the DSLR onboard without any major concerns. Some of the best shots ever are taken from the water, since that's such an unusual angle. As long as the ferries are stopped and that you picked a great day to sail (or row, in that occurrence) you should be fine. Has anybody tried this at Deas? Probably safer than what people currently do, with better photo angles. If it's not the final nail in E & N passenger service, it's surely the second last. Yesterday's Times Colonist reports that new estimates to rehabilitate the line have risen to $160 million, and local governments have begun jumping off the bandwagon driven by the Island Corridor Foundation. I always thought the initial estimate was too low, and I'm not sure I believe this one, given that we're talking about 289 kilometres of seriously degraded trackage and roadbed. Via won't commit to funding service until repairs are assured, and money to do the work is conditional on Via committing to service. Aside from sentimentality over trains, there seems to be very little reason to spend such a massive amount of money for the sake of one train a day between Victoria and Courtenay, carrying maybe a hundred people. Better to invest in a decent inter-city bus run, or subsidize Greyhound to upgrade theirs. The third one was the Patricia Bay branch of the Canadian Northern and had nothing at all to do with the American railway called the Northern Pacific, as this sign seems to erroneously suggest. All Canadian Northern operations in BC were called 'Canadian Northern Pacific' or CNP for short. The CNP had ambitious plans for Vancouver Island including a line from Victoria to Cowichan Lake & on the Port Alberni via a route running up the middle of the Island. This line was completed (by the CNP's successor Canadian National) only as far as Cowichan Lake, although a track bed was built beyond that point. Prior to 1920 BC was in a railway building frenzy, with new lines being built for Canadian Pacific (the Kettle Valley second mainline across southern BC), its USA rival Great Northern, and two new Canadian upstart rivals the Canadian Northern & the Grand Trunk Pacific. Then, there was, of course, the BC government enterprise once called the Vancouver, Pacific & Great Eastern. The First World War & other economic challenges left many of these enterprises in financial ruin and some of them were taken over by the government of Canada. These were combined with rail lines already owned by the feds and by the early 1920's reconstituted as the Canadian National Railways (CNR). That CNP line on the Saanich Peninsula was one such property. It was abandoned by 1935 although a portion of it from Victoria to Mackenzie Avenue in Saanich remained in operation until about 1980. The line's right-of-way is now partially a road; the bits & pieces of which are called Lochside Drive. I remember being able to see the remains of a wooden pile trestle which took the line across Blenkinsop Lake in Saanich (west of Mount Douglas). :)with regard to this southern Vancouver Island railway, not many are aware of the 1903 ferry crossing that this railway ran over to Port Gichon near present day Ladner, where you can still see part of the old railway bed that forms part of the boundary of the Ladner townsite! an early attempt at what WAC Bennett's new 1960 ferry service was to open! :)mrdot. 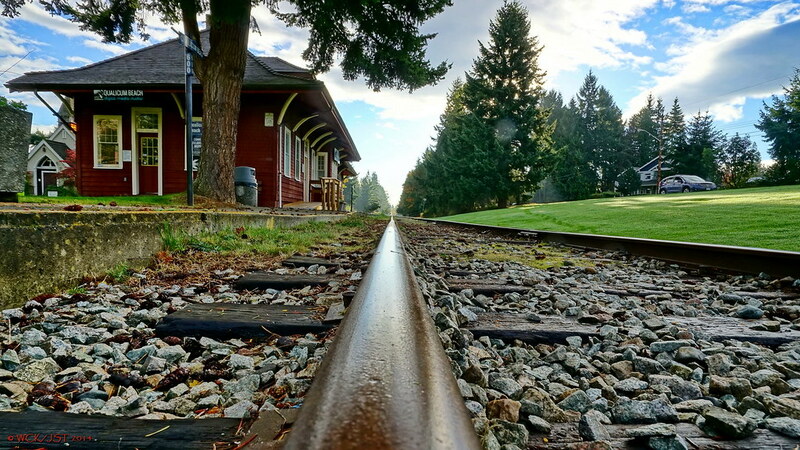 After a three-year absence, passenger rail may be returning to Vancouver Island. According to the Island Corridor Foundation (ICF), a tentative deal has been brokered between Southern Railway and VIA Rail to restore commuter service on the old E&N line. VIA suspended the once-daily passenger train in 2011, citing the poor condition of the tracks. ICF co-chair Mary Ashley said Monday that Southern has agreed to handle the operation of the line — including service, marketing and maintenance — while VIA will provide the train itself. The new deal includes $20.9 million for upgrading tracks and bridges along the route. The new service will operate out of Nanaimo, the ICF said, allowing for an early morning train to Victoria. “It’s a great day,” Nanaimo Mayor John Ruttan told the media following the announcement. The history of the E&N railway — which originally referred to “Esquimalt and Nanaimo” — dates back to the 1870s, when the federal government promised to build the line if B.C. joined Confederation. Island Rail was really pushing for the integration of commuter rail service into Victoria for the rush hour, in the context of public transit. I am curious to see how this will work. Though I have always felt that the full restoration of passenger rail was unrealistic, operating between Langford and Victoria is a service that has long needed to come to fruition. The existing bus infrastructure is crowded and limited, and the highway is congested. The city of Nanaimo has stated that, since their budget is completed, they have placed their contribution to rail restoration into a reserve fund - I expect other municipalities on the island have done the same. I expect that this means a potential start date could be pushed to 2015, although I am definitely not an expert on local government finances, so I could be wrong. Another thought I had was in relation to the Raven Coal mine proposed in the Comox Valley. They have said previously that the transportation of their coal could potentially be by rail, so this investment could bring that one step closer to reality - for better or for worse. 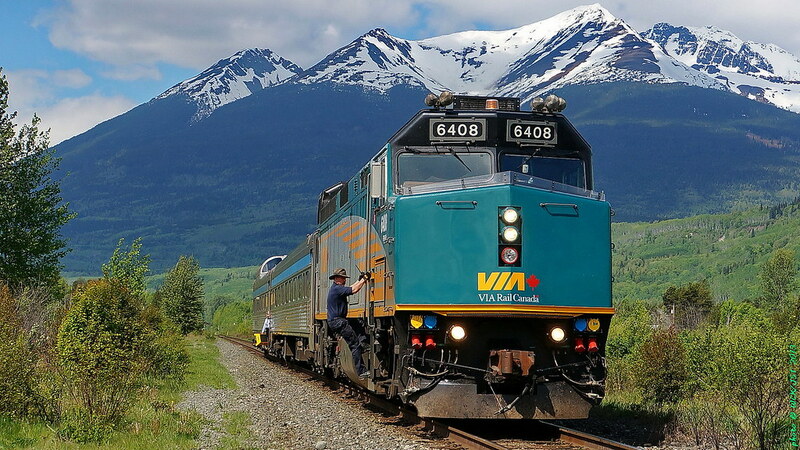 VIA Rail says there is no deal to restore passenger rail service on the Southern Railway of Vancouver Island, despite an announcement earlier today by the Island Corridor Foundation that it had reached a tentative agreement with VIA to bring trains back. VIA spokesperson Jacques C. Gagnon said talks between the two parties are still underway, but no final agreement has been reached. Earlier today the Island Corridor Foundation announced it had reached a tentative agreement with VIA Rail to restore the service. I can understand the Mayors' and Regional Directors' frustrations with ICF. It is very normal to not announce successes before they are done. It appears VIA is further from signing then ICF thinks they are. Perhaps we will see the E&N railway operate again one day, but I have grown extremely pessimistic about it. The strangest thing about the Island Corridor Foundation is that Graham Bruce was hired as a "railway consultant" and he has absolutely NO railway experience or knowledge. Also his wife somehow is on the board of the ICF. If you look at the 2013 ICF bidget, over $300,000.00 of the ICF annual budget is spent on salaries. PLUS additional money is spent on travel $20,000.00. And yet none of that money which is supposed to be spent on the RAILWAY is spent on the railway. Can you say Police investigation? I forgot to mention above the E&N railway is not just about passenger rail-it's also about freight by rail. Via rail has never and never will run commuter trains. The freight operator needs to step up and get a lot more freight customers as well as getting passenger trains running again. Of all the things you had to say - from analysis of expenditures to calls for a "police investigation" - this statement is what bothered me. I'm not clear what you're driving at here, but it seems you are undermining the proposal of commuter rail in Victoria, with the early Nanaimo start. There is a huge opportunity to help relieve crowded highways and packed buses by using existing infrastructure, through a simple addition of two half round-trips. It would be a mistake to not seize that opportunity. The statement is also incorrect - VIA Rail Canada operates commuter rail services in the east. They also crew and maintain West Coast Express commuter rail service in Vancouver, and GO Transit rail service in Toronto. MileagePhoto, Via Rail operates intercity services in the East, not commuter services. Commuter services are operated by GO transit in Toronto and the AMT in Montreal. I do think Victoria could use commuter rail, but we all know that if VIA does it and contracts the train to Southern Railway, they won't invest two cents in marketing it or making it accessible to users. Actually-Via Rail Never provides train crews. Via owns no trackage hence, whatever railway the Via equipment operates on, said railway provides the crews to run the trains. CP rail crews run the west coast express. Southern Rail runs the buddcars on Vancouver Island. My understanding is that it is Via employees who man most of their trains, and not employees of whichever railway their trains happen to be operating over. In the past they were CN or CP employees but not anymore. There are exceptions such as was the case with the Vancouver Island dayliner where the crew was from SVI. Having said this, the Via employees may in fact be on long term loan to Via from CN (or CP). I had heard that if Via shut down a route the employees would be able to 'go back' to CN/CP. You're absolutely right, in that VIA Rail Canada's mandate is to provide intercity services. What you're missing is that there is, in fact, an overlap between intercity and commuting, especially on the Windsor Corridor. VIA has daily commuters in this service area, in much the same way Amtrak has daily travelers on many of its services. BC Ferries Route 3 operates in a much similar way - although it's intended to provide an out-of-region connection (inter-region, one might suggest), many use it as a daily connection to and from work. Re. marketing and accessibility: I have, personally, never been a fan of how VIA operates, often thinking that Amtrak is a much better execution of a similar model, with an improved reach-out to customers and overall a better experience. I suspect that VIA itself will want nothing to do with marketing the service they provide, and it will likely be left to Southern Railway and the ICF to figure out that aspect. It definitely sounds like VIA doesn't have their heart in this project, and subsequently I doubt they'll invest anything more than they have to into it. Quite realistically today may mark the end of rail service of any substance on the Island, although even that has arguably been gone for several years. There is still the $21 million carrot, but the Feds look increasingly likely to pull out, and as Island Corridor Foundation seems to lack both professional and technical competency to get anything done. Hopefully, I am wrong. Quite realistically today may mark the end of rail service of any substance on the Island, although even that has arguably been gone for several years. 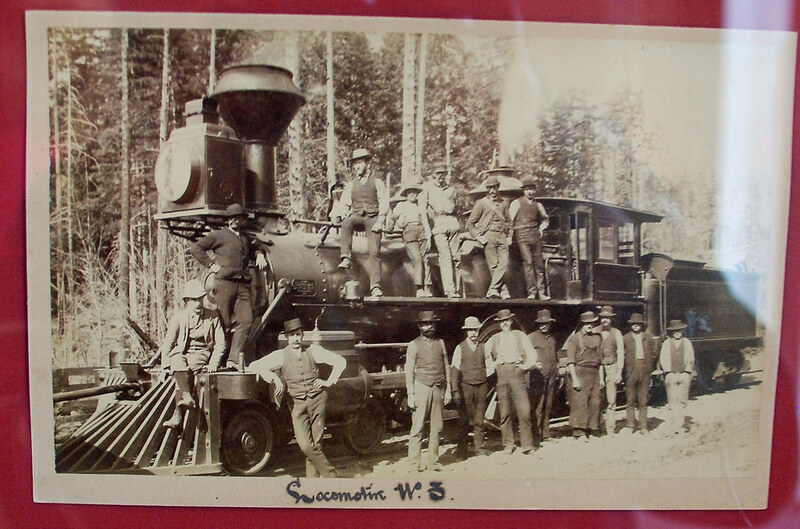 Vancouver Island still has the Western Forest Products logging railway operating up in the Nimpkish Valley area. Last time I checked in on it there was still a viable freight (logging) operation happening there. 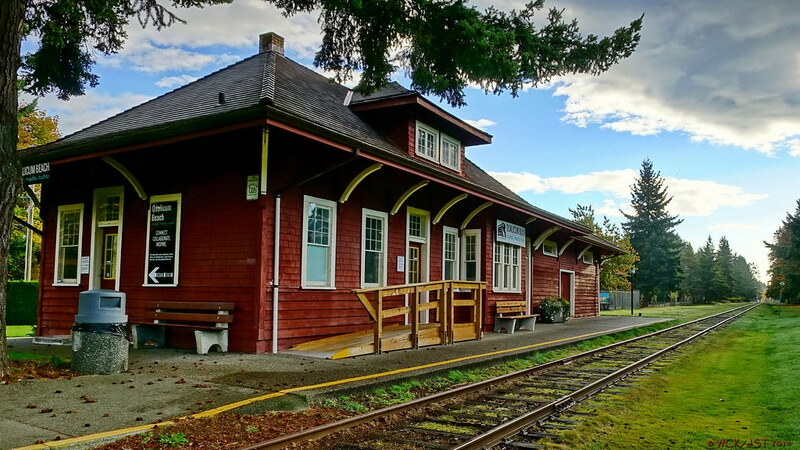 E&N railway station @ Qualicum Beach, Vancouver Island - 18 October 2014. No trains in these photos; none in several years for that matter, & little prospect of one coming anytime soon. Pity! 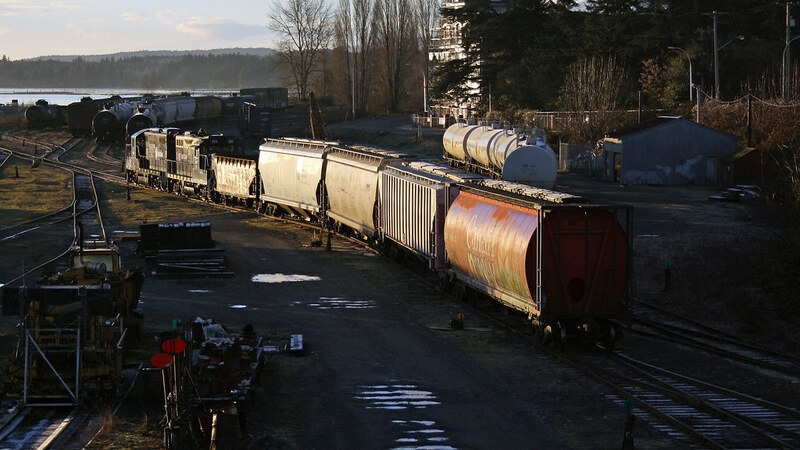 Vancouver Island railroading has not yet completely disappeared. Up toward the northern end of the island it is still fairly healthy. 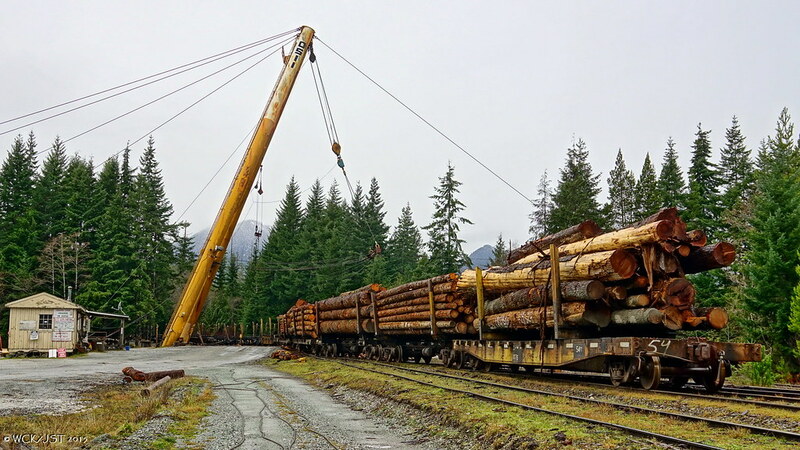 Here is a shot of the Englewood (Western Forest Products; formerly CanFor) railway logging operations near Nimpkish Lake, north of Woss, northern Vancouver Island - 3 January 2015. Looks like the Island Corridor Foundation is taking an RDN director to court, regarding some "comments" made last year. -A bit rediculas, in my opinion. 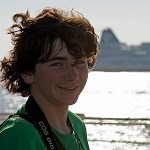 The ICF has filed a defamation suit against Julian Fell, a director from the Regional District of Nanaimo. The action was taken in the BC Supreme Court. Mr. Fell made serious defamatory comments about the ICF, its directors and staff in a July 2013 memo. A retraction and public apology was demanded but none was forthcoming from the director. In October of 2014 Mr. Fell went on public radio and again made similar defamatory comments like those in his earlier memo. The ICF Board considered Mr. Fells’ most recent commentary and decided to instruct legal counsel to proceed with the defamation suit. ICF co-chair Judith Sayers said the Board has a responsibility to protect the credibility of the foundation and the personal reputations of the directors and staff. 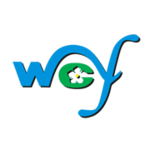 The ICF Board is made up of people from the five Island regional districts and 14 First Nations that the corridor passes through. As the matter is now before the courts the ICF will make no further comment at this time.